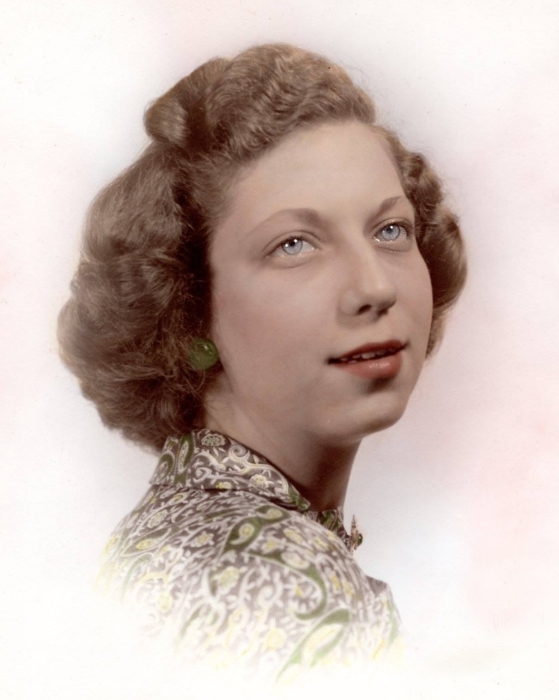 Obituary for Joan Elaine Appleby | Thomas E. Fickinger Funeral Home, Ltd.
Joan Elaine Appleby, 86, of Coudersport, passed away Tuesday, February 5, 2019 at home. Joan was born on August 18, 1932, in Philadelphia, the daughter of the late Allen and Viola (Miller) Rickert. In 1952 she married her high school sweetheart, Charles Robert “Chuck” Appleby and they celebrated 58 years of marriage together until his passing on August 18, 2010. Joan graduated from Coudersport High School, Class of 1950. She was known for her love of music and her excellent singing voice. She was very active in church choir, community chorus and the Consistory’s Passion play. Joan also was an active volunteer for the Red Cross and the American Cancer Society. Joan is survived by a son, Robert C. Appleby of Coudersport; a daughter, Elaine A. (Jim) Russell of Coudersport; a son-in-law, William (Donna) Sallade of Coudersport; six grandchildren, Megan Sallade Fetzer, Minelle Sallade Snay, Matthew Sallade, Alexander Appleby, Michael Russell and Kristin Russell and eight great grandchildren. In addition to her parents and husband, Joan was preceded in death by a daughter, Kathleen Ann Sallade, five brothers and four sisters. In accordance with the wishes of Joan and her family there will be no viewing or service. A private burial will be in Eulalia Cemetery, Coudersport. The family encourages memorial contributions in Joan’s name be made to the Eulalia Cemetery c/o Donna Lehman, P.O. Box 226, Coudersport, PA 16915 or to a charity of the donor’s choice.